The latest reforms will do nothing to prevent further concentration of Australia’s media landscape. The breakthrough in negotiations with the Senate crossbenchers that the government has been chipping away at over media reform has finally arrived. The deregulatory legislation, the Broadcasting Legislation Amendment (Broadcasting Reform) Bill 2017, required 38 votes to pass the Senate, where the Coalition controls 29 votes. It had already secured the support of three crossbenchers and four One Nation senators, but was waiting for just two votes to get it over the line – until Nick Xenophon did the deal. After protracted negotiations with Xenophon and his NXT party, the Coalition has arrived at a quid pro quo deal that sees the repeal of the remaining cross-media diversity rules, after the government agreed to NXT’s proposal to introduce funding grants for small and regional publishers. Clearly, though, they are not the “substantial quid pro quo” for public interest journalism that Xenophon has trumpeted, which had previously included tax breaks. the creation of 200 cadetships and 60 scholarships. The government will also direct the ACCC to conduct an inquiry into the advertising practices of Google and Facebook and their impact on journalism. Funding for these publishers will require them to meet specific eligibility criteria, including membership of the Australian Press Council and having ethical guidelines in place. It will need to be for the purposes of news production, and civic and public interest journalism from a local perspective. The Australian Communications and Media Authority will oversee the distribution of the funds. Recipients of the grants must be majority Australian-owned, pass an independence test, and not be affiliated with a political party, union, super fund or lobby group. These eligibility criteria means some publishers will not have access to these meagre funds. For example, offshore controlled or owned online publications such as The Guardian and Buzzfeed, or a publisher like The New Daily, which is closely affiliated with super funds, would miss out. Other horsetrading has led to amendments that assist community television, a welcome rescue measure for the sector. It includes a controversial measure such as the A$30 million gift to Fox Sports for women’s and niche sports – a commercial broadcaster that can be accessed by less than 30% of the Australian population. A major A$90 million gift to commercial free-to-air broadcasters in the form of licence fee removals raises the question of whether something was given in return. The obvious quid pro quo here is an agreement secured to remove gambling advertising in prime time. In the wider frame of high industry concentration and the dominance of US-based hegemons, Xenophon’s measures are a minimalistic band-aid response, which will do nothing to prevent further concentration of Australia’s media landscape. The NXT “wins” are really only window dressing. The One Nation “wins” in relation to further scrutiny on the ABC are a ludicrous attempt at payback for critical coverage. 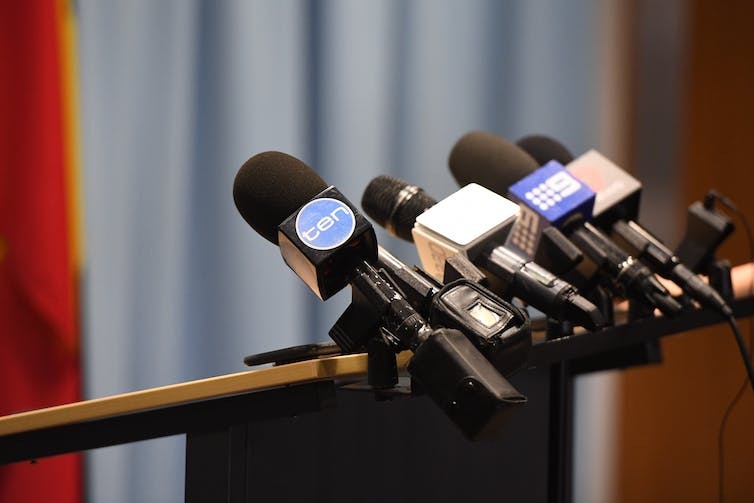 The more principled approach of Labor and the Greens, who did not support the repeal of the two-out-of-three diversity maintaining rule, is laudable – and may yet form the basis of real media reform in their next federal election campaigns. The earlier proposed tax breaks for genuine public interest journalism reporting the news and informing the public had the potential to help keep some small players afloat. But one-off grants of A$1 million are hardly going to save struggling publishers. On the face of it since eligible beneficiaries will be News Corporation and Fairfax Media competitors, many would think this must be a step in the right direction. However, it really is a drop in the ocean compared with the resources of the majors. It will do nothing to remedy the major problem of longer term concentration which needs a complete redesign of the regulatory framework fit for the 21st century. The opportunity for a root-and-branch analysis of media consumption by Australian audiences, an agency tasked to effectively do that and tracking the transitioning news industries, with commensurate resources and diversity mechanisms has, once again, been sidestepped. These latest negotiations follow a decade of attempts by conservative governments to dismantle media ownership restrictions. These minor funding measures do nothing to address the underlying problem of an increasingly concentrated media landscape (where the vast bulk of the eyeballs are anyway). The more serious mechanisms that have been ventilated in the Senate Select Committee Inquiry into the Future of Public Interest Journalism — such as direct financial subsidies — have not got a look in. Policymakers can support private media organisations with mechanisms such as tax relief or even direct subsidies to specific media companies. Such support need not compromise media independence if safeguards such as statutory eligibility criteria are in place. The authors’ view was that the reality of convergence meant support of private media should be extended to online media. Serious diversity mechanisms such as indirect tax measures and direct measures like subsidies did not pass muster in the historically cosy relations between politicians and media proprietors. Real alternatives with impact are possible. In the Swedish subsidy scheme, for example, eligible print or digital newspapers need to have less than 30% market share. While subsidies contribute only 2-3% of total industry revenue, they amount to 15-20% of revenue for weaker titles that are their main beneficiaries. For a handful, the subsidy represents up to 33% of total earnings. Of greater importance to the survival of smaller publishers, these minor funding measures do very little to address the fact that 90% of new online ad spending is controlled by Google and Facebook. So why doesn’t the government introduce a levy on these two players to fund public interest journalism as suggested by the Senate Select Committee on the Future of Public Interest Journalism? While there are still some ownership controls (minimum of five media voices in metro and four in regional and rural markets), and local content requirements that remain in place, these will not stop further media concentration. A single person cannot control more than two radio stations or more than one television station in a single market. In regional markets there is still a requirement of 21 minutes of local content a day – a fairly low bar most agree. However, News Corp Australia, for example, which already owns around two-thirds of the print media sector, would be allowed to buy up all the traditional categories of media (TV, radio, and print) in any single market. In cities such as Brisbane, Adelaide and Hobart, where there is already only one daily newspaper, the consequences of further concentration are stark. Google’s recent sacking of James Damore for circulating a memo will do the tech giant more harm than good. Not only has the memo been incorrectly dubbed “anti-diversity”, but a majority of Google employees surveyed in a recent poll disagreed with the decision to fire Damore. A more productive response to the memo would have been to setup an official channel for employees to air these kinds of issues. This way employees feel their views are heard and the company can take into account different points of view while formulating policy. Google’s chief executive, Sundar Pichai, wrote to all Google employees saying that Damore’s memo had crossed the line by “advancing harmful gender stereotypes in the workplace”. It might have been more advantageous to have a full and frank discussion of Google’s diversity policies and what they are intended to achieve. Is it too dangerous to talk about diversity? Although painted as “anti-diversity”, the memo itself raises issues of the alienation of conservative views at Google and the need to be able to discuss diversity more openly. In other words, diversity shouldn’t be a concept that people are scared to discuss openly for fear of being vilified or shamed. Damore’s memo suggests that those with differing views on diversity are dismissed and vilified. The response to his memo seems to prove his point. This might in fact be the heart of the problem – fear of saying something politically incorrect might in fact be holding people back from understanding the need for diversity measures. One study found that American corporate directors thought board diversity (in racial, ethnic and gender terms) was an important goal worth pursuing. But they seemed unable to substantiate this opinion with examples of how board diversity might help the company. The authors of the study concluded that diversity seemed to be a “dangerous” subject to talk about. Shutting down differing views on the matter is antithetical to the idea of diversity. “Inner diversity”, meaning diversity of viewpoints and opinions, is as important as “outer diversity”, in terms of gender and ethnicity etc. A Canadian report on women on company boards found that boards with more women surpass all male boards in their attention to audit and risk oversight and control. It also highlights that outer diversity (such as having more women on the board) is a proxy for inner diversity – it is a sign of different “gifts, skills, experiences, and perspectives”. If a company focuses singularly on outer diversity while discouraging diverse viewpoints it won’t realise the real benefits of diversity in the first place. The rationale for measures promoting diversity is twofold. Women and minority groups have to overcome many barriers including selection bias while being recruited. And diversity, particularly in problem-solving groups, is ultimately good for business. Diversity measures seek to reduce (if not eliminate) biases by expanding or diversifying the pool of candidates being considered for each position. For example, programs where female candidates are given mentors opens up new opportunities. Damore’s memo argues the biological differences between men and women might be one of the reasons for the low number of women in the tech industry. However, recent neuroscience research shows there is not enough evidence to conclude that there are significant differences in the male and female brain. So while Damore’s view is not unequivocal, this perception could impede the effectiveness of diversity measures. Other research shows that more men than women study computer science, engineering, physics and mathematics in the US. This could account for some of the gender disparity in tech companies. However, this is not true in all countries. For instance, women make up nearly half of computer science and computer engineering students in India. It might be interesting to study what factors deter women in the US from studying these subjects. But in order to address these issues it is necessary to be able to discuss them, and then assess what a diversity policy is intended to fix. To that end, companies must create forums and events to discuss the rationales for diversity policies and also allow employees to voice their views in this regard. A starting point could be to have employees fill out anonymous surveys to gauge perception of diversity policies. Based on this, appropriate discussions can be encouraged. Companies could also consider making the rationale for the diversity policy available along with the policy itself. This process will result in more informed policy choices and perhaps a more inclusive work culture.